We’ve got your back. 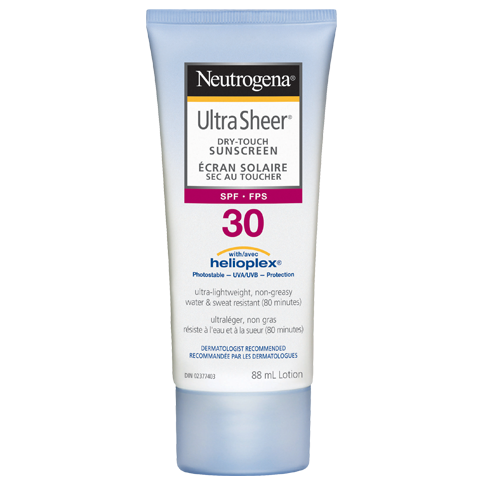 Stabilized with HELIOPLEX® Technology, NEUTROGENA® ULTRA SHEER® Body Mist is a weightless sheer mist sunscreen spray that provides effective broad-spectrum protection against sun’s aging UVA and burning UVB rays, in an ultra-light, non-greasy finish. Thanks to the one-touch continuous spray that works at any angle, you can protect even those hard-to-reach areas, like your back. Non-medicinal Ingredients: Acrylates/Dimethicone Copolymer, Acrylates/Octylacrylamide Copolymer, Alcohol Denat., Ascorbyl Palmitate, Cyclopentasiloxane, Diethylhexyl 2,6-Naphthalate, Dimethicone, Isobutane, Parfum, PPG-5-Ceteth-20, Retinyl Palmitate, Tocopheryl Acetate, Trisiloxane. 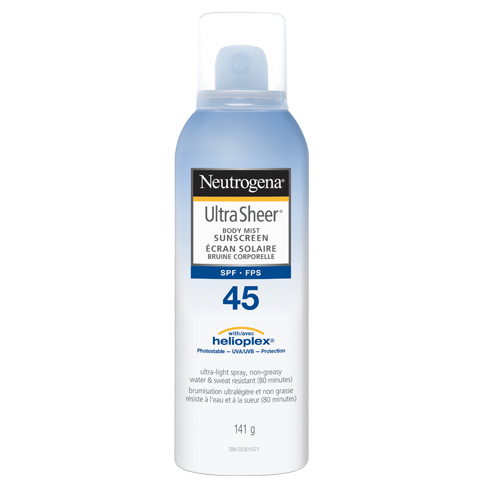 This sunscreen is great for when you don’t want to touch someone to apply sun screen. But it is not ideal for windy beach days. Hard to get it where you want it. But the product itself is great. I like it because it doesn`t leave me feeling sticky or greasy. I like that it is spray on so that I don`t have to get my hands full of lotion. 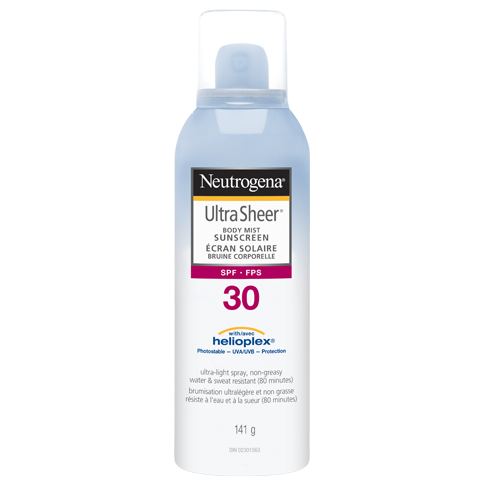 It keeps my skin protected in the sun. Great product with no residue! Love this product for when you are heading out and about and don't want that greasy look and feeling on your skin. Just enough SPF and coats quickly and easily. 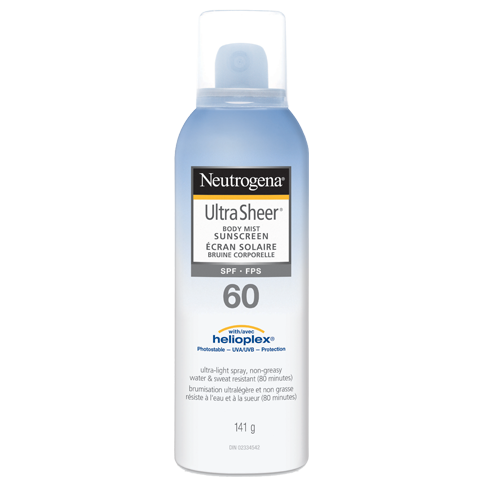 A little overpriced if paying regular but a great high quality spray sunscreen.